Do you know that China's online population reaches 650 million? That is twice the population of the United States! Do you know that the number of China's Internet connected devices exceeds world population? Submitting your website to Chinese search engines will open up a new potential market for you! But what search engines do Chinese people use? Google? No, Google has been blocked in China since May 27, 2014. Yahoo? No, Yahoo China shut down on Sept 2, 2013. Baidu? Yes, but what about the others? We, thebmstudios, are from China and we know China's Internet and its search engines in depth. 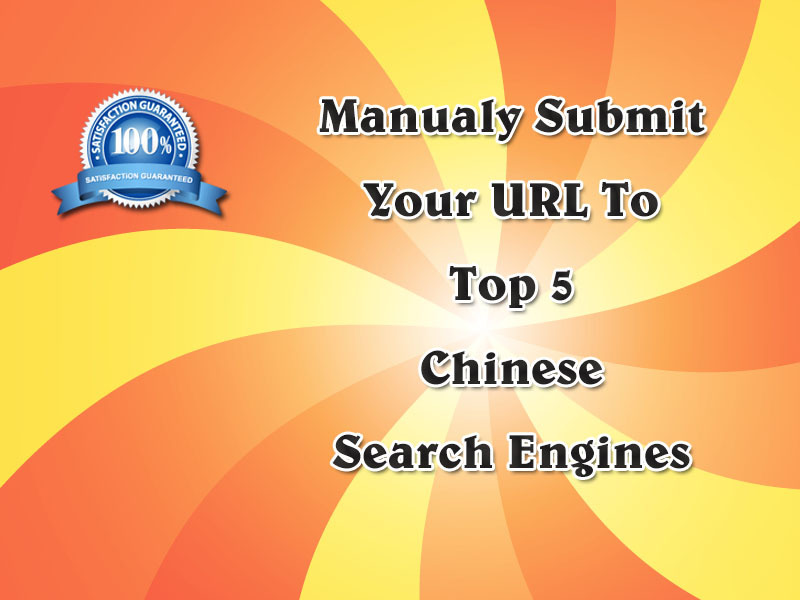 We will MANUALLY submit your URL to top 5 Chinese search engines. Note that using a bot to submit URL to search engines will result in permanent ban. Our service will save you from dealing with language barrier and the nightmare: Chinese captcha. For extra add-on, we will also manually submit your URL to top 5 Chinese open directory sites! Open directory sites are huge in China than its western counterpart because many Chinese people have trouble remembering those English domain names. MANUALLY submit URL to top 5 Chinese search engines, baidu etc is ranked 5 out of 5. Based on 14 user reviews.